If you want to connect to multiple computers in your house, set up a home network. You can share files, internet with out ever having to swap a flash disk. 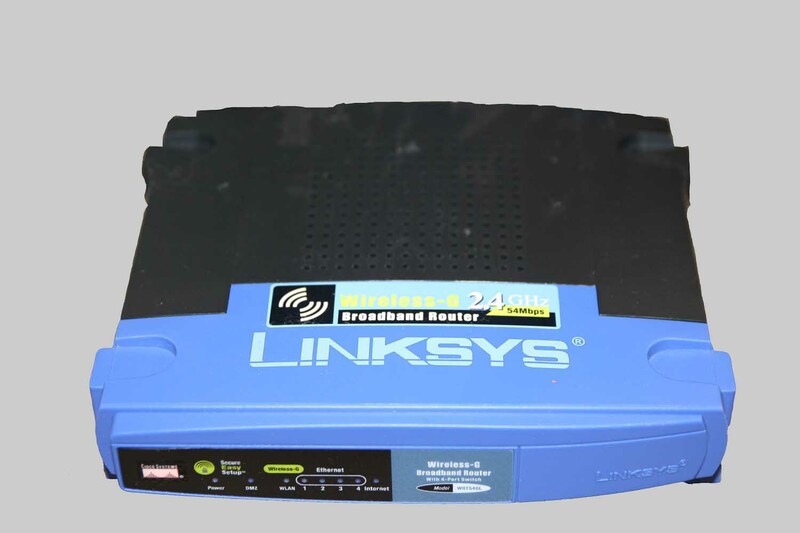 Personally I like to change the firmware on my Linux router, your can learn more at linksys router setup. There are several different ways you can set up a home network. For this guide we will be using a router in both setups. It also doesn't rely on a computer to be on 100% of the time for the rest of the computers in your network to have internet access, like internet connection sharing in Windows does. It also is really easy to add additional devices in the future, and makes sharing internet access fairly very easy. To understand which cables connect to what we need to understand what the various devices in a network do. Router - Connects to your internet, and passes this information onto computers in your network. It also connects the computers together allowing you to share files between users. Below, you can see the back of a router. Switch - Connects network devices to more network devices. This is connected to the router and then to additional network devices. Think of this as used when you run out of plugs on the router, or when the speed of the switch is faster than the speed of the router. Below, you can see the rear connections on a switch. All the information here is based on this network diagram. You can browse this picture to get an understanding of information flow in the network. To set up a home network that is wired, you will need to have a network card in each computer, a router, and enough cables to connect them all. You will also need the documentation that came with your router. Step 1 - Connect the cable from your internet modem to the port on the router labeled either uplink, or internet in most cases. Step 2 - Connect the first computer to anyone of the other ports. Step 3 - Log into your router refer to the information that came with your router. This is usually done by entering 192.168.0.1 or 192.168.1.1 into your address bar. Your documentation will tell you which one. Step 4 - Enter the username and password that is instructed by your router documentation. Step 5 - You should now be in the router setup. Enter all the information for internet, you will need the protocol, PPPoE in this case, the username and password from your internet service provider. Click on Save when done. Step 6 - If your router supports wireless, click on the tab. Disable it, and save changes. This way you don't have any unwanted eyes. Step 7 - Click on administration or something along those lines and change your default router password. Save changes. If you need to add a switch simply connect a wire to it from the router. Then the additional wires can go to additional computers. No setup is required. To set up a home network that is wireless, you will need a router, and a wireless device installed into each computer and device you plan on using the wireless network on. You will also need the documentation that came with your router. Step 1 - Connect your internet modem to the port labeled either uplink or internet on your router. Step 2 - Log into your router refer to the information that came with your router. This is usually done by entering 192.168.0.1 or 192.168.1.1 into your address bar. Your documentation will tell you which one. Step 3 - Enter the username and password that is instructed by your router documentation. Step 4 - You should now be in the router setup. Enter all the information for internet, you will need the protocol, PPPoE in this case, the username and password from your internet service provider. Click on Save when done. Step 5 - Click on administration or something along those lines and change your default router password. Save changes. Step 6 - Set up your wireless security if you choose to do so. That's it you're all done, enjoy your new network.